Allied specializes in commercial security solutions for retail, industrial, education, and government buildings. Let our award winning team help you with your next commercial or enterprise security project. Allied Fire & Security specializes in custom video surveillance systems, access control, fire and intrusion alarms, monitoring and alarm verification, and much more. For a total integrated security system, we can provide virtually all services and equipment for enterprise security projects including large businesses and buildings as well as for multiple location businesses. We also now offer next generation cloud video surveillance and access control systems, which aim to lower surveillance costs for your company, low cost upgrades, and can scale to unlimited locations. These systems have a lower entry level cost than networked video, eliminate the need to maintain servers on site, and give your security teams mobile and remote view flexibility. If long term cost savings and optimized security controls are on your organization’s agenda, Allied can help with these advanced integrations and upgrades. Put our award winning integration specialists and advance security technologies to work on your next project. Our Commercial Security Integration Services are designed to fit the needs of your organization, your employees and your customers. At Allied Fire & Security, we take pride in the fact that we have integrated total security system solutions and designed security projects for some of the largest companies and institutions in the Pacific Northwest for over 65 years. We design and manage custom, leading-edge security solutions for large organizations. Our experienced and certified project managers consult on the project from concept to installation. At Allied, our long standing relationships with manufacturers and vendors make us a top dealer of security equipment and solutions, enabling us to provide the best cost and the best service for our large commercial customers. 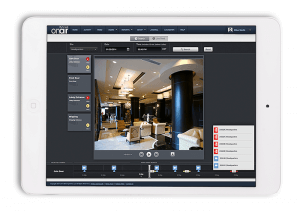 We provide a free survey covering all of the details of your project and can recommend the best security systems for your budget and a wide range of services including fire, intrusion alarms, video, mass notification systems, and much more. Why Do I Need a Wireless Home Video Surveillance System?